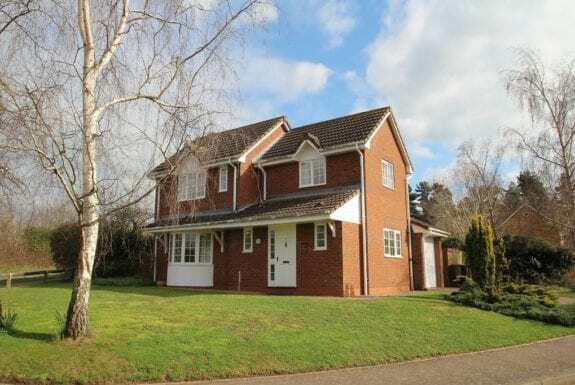 PROPERTY DESCRIPTION A well-presented four bedroom (one en-suite) detached property occupying an attractive setting on a small, well-planned development located within the ever-popular North Essex village of West Bergholt. Enjoying well-presented accommodation throughout the property, benefitting from recent improvement by the current owners in the form of replacement oak flooring and redecoration throughout. 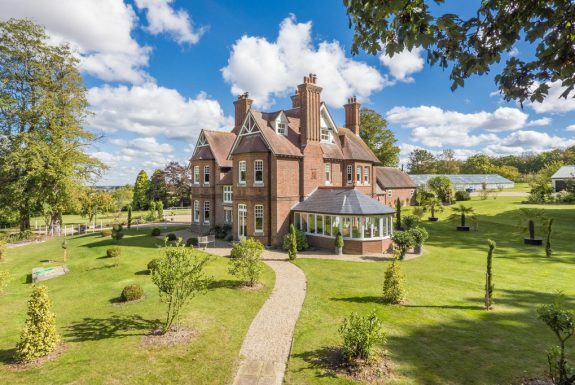 Enjoying a total internal floor area of approximately 1,950 sq ft the accommodation is arranged via three distinctive reception rooms with the sitting room linking directly with the garden room affording open views being of particular note. 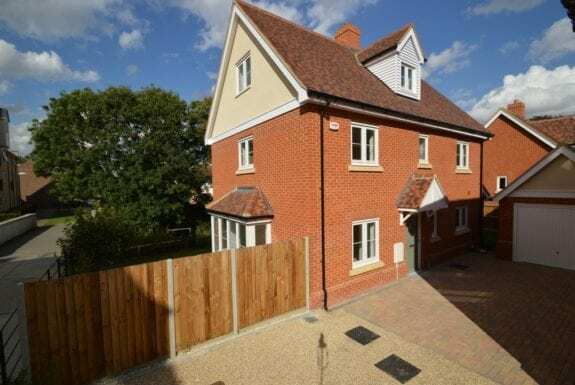 Conveniently situated for Colchester North Station, A12 trunk road and A134, the property is conveniently located as a family home and for those looking for accessible commuter links to Colchester North Station. Further benefits to the property include a double garage, off-street parking for a number of vehicles and gardens abutting shrub land. GARDEN ROOM: 12' 10" x 11' 6" (3.92m x 3.52m) Set on a brick base with a glazed surround on three sides, pitched room line and double doors opening to the rear terrace and gardens. DINING ROOM: 11' 7" x 8' 11" (3.55m x 2.74m) With window to front. KITCHEN: 12' 0" x 9' 5" (3.67m x 2.89m) Fitted with a matching range of base and wall units with chrome handles, worktops over and tiling above. Fitted appliances include an oven, four ring electric hob with space and plumbing for dishwasher. Ceramic single sink unit with vegetable drainer to side, mixer tap over and window to rear overlooking gardens. UTILITY ROOM: 6' 4" x 5' 3" (1.94m x 1.62m) Fitted with a matching range of base and wall units with worktops over and tiling above. Wood effect flooring, space and plumbing for washing machine/dryer. Door to outside and also housing gas-fired boiler. STUDY: 9' 10" x 9' 4" (3.02m x 2.85m) With window to front, a versatile room offering potential as a playroom or office/study if required. CLOAKROOM: With part tongue and groove panelling and fitted with ceramic WC and wash hand basin. STORE ROOM: With useful fitted shelving. EN-SUITE SHOWER ROOM: Partly tiled and fitted with ceramic WC, pedestal wash hand basin and bath with screened chrome shower attachment over. BEDROOM 2: 11' 7" x 9' 4" (3.55m x 2.87m) With window to front and fitted wardrobe. BEDROOM 3: 11' 9" x 9' 4" (3.59m x 2.86m) With window to rear overlooking gardens and shrub land beyond. Doors to fitted wardrobe. BEDROOM 4: 9' 2" x 8' 10" (2.81m x 2.71m) With window to front. FAMILY BATHROOM: 7' 9" x 7' 0" (2.37m x 2.15m) Principally tiled and fitted with ceramic WC, pedestal wash hand basin, bath with hand-held shower attachment over and fully tiled separately screened shower unit with shower attachment. DOUBLE GARAGE: 18' 8" x 17' 5" (5.71m x 5.33m) With single up and over door to front, light and power connected. GARDEN The attractive rear gardens are an impressive feature of the property, arranged via a single expanse of lawn with various flower beds, diverse specimens of plant and fledgling trees. An attractive aspect throughout the gardens is afforded over the open land beyond the property. 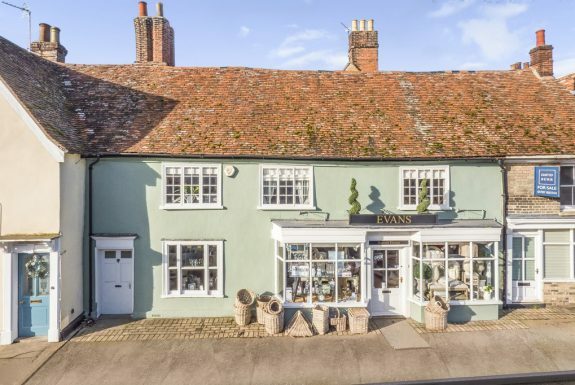 AGENTS NOTE: Use of the timber framed external store is exempt from any tenancy. The gas fire place has been disconnected, use of this item will be unavailable during any tenancy. The oak flooring is to be swept and hoovered only. Tenants of the property are notified not to mop this flooring. TENURE: A tenancy is available on an assured short hold basis for a minimum of 12 months. The tenant will be responsible for all outgoings including water rates and council tax. References will be required together with a substantial secure deposit of one and a half months rent. Prospective tenants will be required to pay a non-refundable administration fee of £200.00 plus VAT (£240.00) for the first applicant and £90.00 plus VAT (£108.00) per applicant thereafter, towards the cost of obtaining references. If a guarantor is required, there will be an additional charge of £90.00 plus VAT (£108.00). All cheques are to be made payable to David Burr. SERVICES: Mains water, drainage and electricity are connected. Gas fired heating to radiators. NOTE: None of these services have been tested by the agent.